And in the blink of an eye or two, 64 teams have been cut down to 32 teams and before the weekend is out, that number will be slashed again. March Madness can be a breathless and brutal tournament, with one bad game, or even one false move ensuring that a team is out of the tournament. It is easy to that the fear of losing can be high in the players, none of them wanting to be seen as the scapegoat for the death of the dreams of their team-mates, coaches and players. Of course, this means that the thrill of winning, which is why March Madness betting is one of the most exciting opportunities in sport. Buffalo, the number 12 seeds, were 10 points down at hard time, but they set off on a brave comeback only to be thwarted by the number 5 seeds, West Virginia, at the end. Devin Williams was instrumental in the win grabbing 17 points, 9 rebounds and an assist. 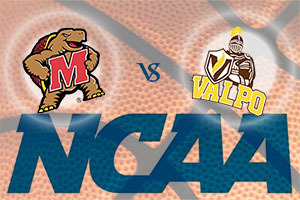 The number 4 seeds Maryland were pushed close by the number 13 seeds Valpraiso and the game was in the balance until the final seconds. Melo Trimble had an excellent game, notching a double-double with 14 points, 10 rebounds and 3 assists. The number seven seeds Wichita State grabbed the win against the number ten seeds Indiana in a game that offered a lot but rarely threatened an upset. Fred VanVleet was the clear player of the game with 27 points, 2 rebounds and 4 assists. While Kansas passed through as number 2 seeds, they are the first team from the Big 12 to grab a win in this tournament although number 15 seeds New Mexico State never offered up much chance of an upset. Frank Mason III grabbed 17 points and 9 rebounds for the Jayhawks and they will be looking for more of the same from him this weekend. These results mean that Wichita State will take on Kansas on Sunday the 22nd of March. The number 5 seeds stepped up to the plate and delivered a sound victory against number 12 seeds Wyoming. The second half begun with an 11-1 run and this provided Northern Iowa with a comfortable lead for the rest of the game. The Panters were boosted by Seth Tuttle who offered 14 points, 3 assists and 9 rebounds. This was almost an upset and UC Irvine, the number 13 seeds, can be delighted with their showing in their first ever March Madness game. Sadly, the team’s inexperience was perhaps evident with 43 seconds left on the clock and the score was tied. A more experienced team would have been confident on what they were doing here but Louisville managed to grind out a win that many would say was underserved. Wayne Blackshear grabbed 19 points and 7 rebounds for the Cardinals. Louisville will now take on Northern Iowa on Sunday the 22nd of March. People looking for a shock would have been pleased with number 6 seed Providence dropping to number 11 seed Dayton. This result meant that the Flyers had a far easier time of it than they did in their First Four win against Boise State. Dyshawn Pierre offered up 20 points and 2 assists. 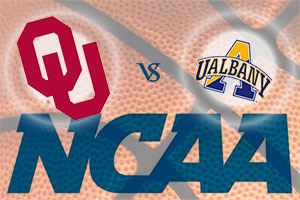 Oklahoma, the number 3 seeds, were in full control of the game but they were never able to get a commanding lead, which meant that number 14 seeds Albany were always in the game. TaShawn Thomas grabbed 18 points, 5 rebounds and 2 assists for the winners. Dayton will now take on Oklahoma on Sunday the 22nd of March. This was the 18th NCAA tournament that Michigan State, number 7 seeds, had appeared in consecutively and they enjoyed the occasion, defeating, Georgia, the number 10 seeds. The lead was 13 points at half-time and the result was never really in danger. Denzel Valentine grabbed 16 points for the Spartans with 6 rebounds and 6 assists as well. Virginia, number 2 seeds, held on against number 15 seeds Belmont, but it was a brave showing from the outsiders. This was the 30th win of the campaign for the Cavaliers, a record for them, and Malcolm Brogdon grabbed 22 points, 5 rebounds and an assist. These results mean that Michigan State will face Virginia on Sunday the 22nd of March. 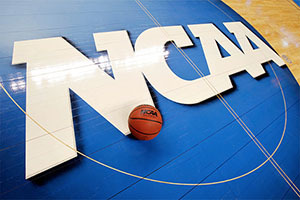 This means that there are just three games on offer today, but they are three big games and if you are looking for exciting March Madness betting opportunities you will have everything you are looking for.